Time Warp Mode engaged! August 2, 2014 – Starting what was going to be a very busy month was a new event for Washington, DC. 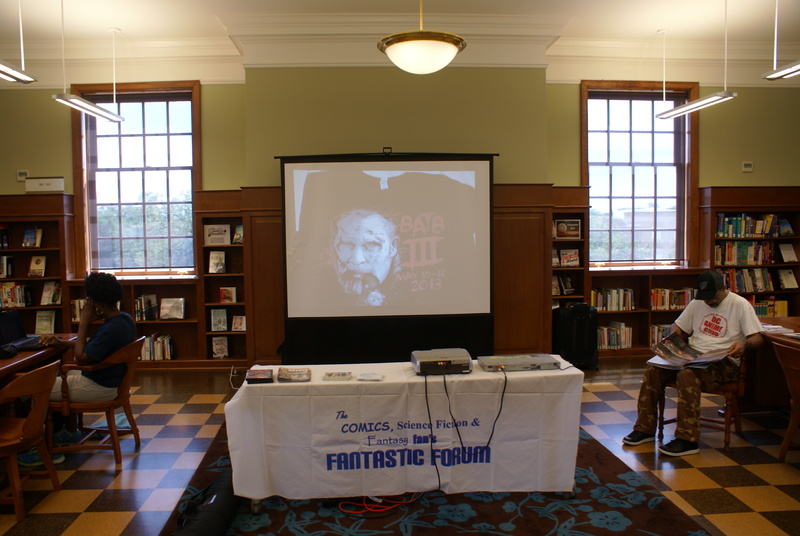 Library-Con is held at the DC Public Library Petworth Branch and is billed as a multigenerational programming event that provides information and exposes the world of anime/manga, comics, Star Wars, and TV production to library customers of all ages! Fans came out and connected with the community through culturally based activities, forums, and crafts held throughout the library. And FANTASTIC FORUM was there! We set up a table and ran episodes to the delight of fans. And we ran into some friends. In addition to members of the 501st Legion we saw representatives of the DC Anime Club and Andrew Aydin, co-writer of MARCH! All in all it was a good day. Check out Library-Con next time it comes around!